Seiko VS Rolex which would you rather? Thread: Seiko VS Rolex which would you rather? Ok So I've been thinking about this quite a bit recently, with some interesting threads which are suggesting that the Grand Seiko brand, (like Lexus, which was grown from the Toyota family) will possibly one day become the go to big brand watch, or will at least compete with the likes of Omega and Rolex. I'm not fussed about the future with this thread, what i'm interested to know about is the now. I thought it would be interesting to hear peoples opinions about how the higher end Seiko and Grand Seiko watches compared with "the brand to beat" in the high end market at the moment, which i guess would be Rolex. I know there is a lot of love for the SD here, but then there are also quite a few Seiko fans so hopefully we'll get some good points and opinions through. Rolex are a brilliant brand that produce brilliant watches, there is no arguing that, and they have done for a very long time, arguably from the first watch they produced. Their marketing is brilliant (and must be cost effective :? : ) and the watches have a timeless classic design. Not only that, but Rolex have a rich and full heritage, with a lot of history behind them, and they are a charity owned by the Willendorf fund, no other watch house can claim that. They where the original tool watch (comex etc) and at the time of their birth they where innovative and boundary pushing. Yet today to me they seem to be a bit stale. They follow fashion with their maxi cases and dials (which are quite nice :twisted: ), and in my opinion nothing much changes, they rarely do anything different (except maybe the ceramic bezel), and haven't introduced anything of significant value as far as technological advancement goes in the horological world,and on top of that they have a very unfortunate and unfair stereotype that has led to some feeling uncomfortable while wearing a Rolex, or at least to me feeling uncomfortable. So I'd be interested to know what people think? and what people would prefer to wear on their wrist, day in and day out. N.b While typing this i have been wearing my Seiko 6306 150m vintage diver, but i have treid to keep it as even as possible. Re: Seiko VS Rolex which would you rather? Does that Spring Drive pictured have an hour hand that moves in one hour steps, does anyone know? The new ceramic sub's nice, but so expensive. The boggo Marinemaster has to come last in this poll, doesn't it? There is no way Seiko will win the poll on this forum. If you look at the front page of Watch Talk at any given time, there are at least 6-8 Rolex related threads going. It's simply the most recognizable brand there is. For me it would be the GS followed by the MM600 rather than 300. I don't dislike Rolex, I think they are lovely, but I'd never wear one. For me it would be the SD and the GS, as those are the ones that are most appealing to my eye. Only problem is damn that GS is expensive (and hard to come by second hand). There is no way Seiko will win the poll on this forum. I would not opt for any of those as I do not dive. The MM is most watch for the money. So if buying the watch for the fysical product that is a clear winner. Concerning the added value of image Rolex has by far the strongest. This is a double edged swod. I would not be comfortable with the image of a Rolex sub. As a perspective; at the moment wearing an 18k GS 9F61. In a moment I will drop off the family at the public pool. I will stay for lunch only and get back to the farm chores for which I wil change to either the stainless steel GS 9F or the SDGA001. The boggo Marinemaster has to come last in this poll, doesn't it? I dunno, i reckon what you get for your money with the marine master probably makes it a good option, at about £1600 it is the cheapest there, and sure its not exactly special but i could almost be on par with an older Sub, in terms of quality, and its a lesser know watch which looks flash without being flash, unless the on looker is a fellow WIS.. The GS is quite a big watch, very thick, but not as thick as the SBDB001 with is the spring drive GMT Marine master thats 45mm wide and 17mm thick, a hefty chunk if you ask me. Hopefully this thread will throw up some surprising results. I wouldn't be able to help myself, the GS in a flash. Seiko are an older company and a much larger company than Rolex. Having been a major player in the virtual destruction of the Swis watch industry, they now employ well over double the staff of Rolex and make over a billion dollars a year more than Rolex do. Guess which one beats at 36,000! 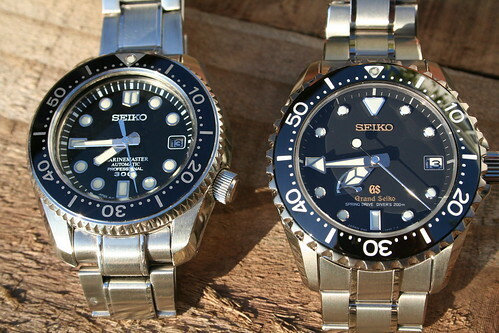 I go for the Seiko option, both watches. I've got the MM300, love, and wear it the most. I guess thats the grand seiko diashock? Very nice!! been looking on the net for one but the examples on ebay don't appear too clean. 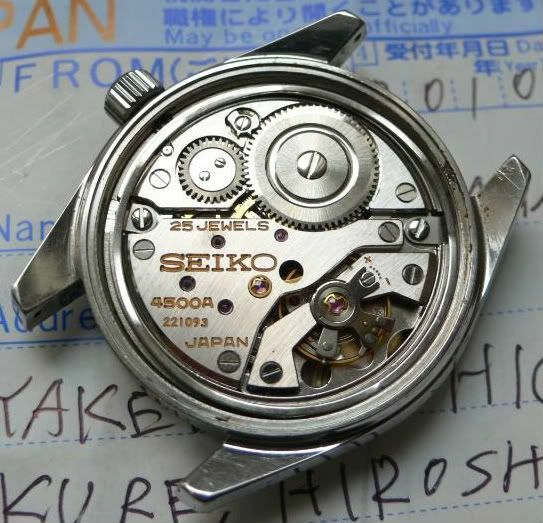 I did mean to go into how Seiko where band from chronometer testing their movements, and that their requirements for time keeping are to a higher standard than the chronometer levels. And that they won a lot of the movement competitions in the sixties, and where then band from entering because they weren't a swiss company, which meant the whole thing was a farce.. But i didn't want to go into too much detail, or to upset anyone. As frankly Rolex have a brilliant heritage, with their World war two deals with allied POWS, and their charitable status, Rolex certainly win on the ethical and heritage front. Q. Which would be happier to have as a watch to wear? A. Having a Sub 16610 and not being a fan of the new Rolex "fat" cases, I would opt for an MM300 in terms of looks, cost, quality and daily wear. Well, as another member recently observed in a recent thread, the seadweller is the current darling of the forum and its a lovely thing to look at. So its going to do well. Nice to see some posts favouring seiko though, and votes for them too - just goes to show show that theres some diversity out there and that branding doesnt mean everything. For me itd be the SD. But that, the DSSD and at a stretch the "No date" are the only rollies Id ever think about wearing. As a brand they dont excite me - I dont buy into it all - but I think they did really strike gold with the SD. Like so much to do with Rolex, you have to get past the myths to get to the reality. Yes, they sell them all, but only because they buy them back! Yes they do direct charitable work, but only in the Canton of Geneva. Yes, they sold watches to imprisoned Allied officers, but only from '43 onwards, which was a bit less of a gamble really. No one denies that Rolex are splendid at buffing their brand image (or that Wilsdorf was brand minded fifty years before the notion hit the mainstream) and few would deny that Rolex has produced one of the best brands in the world. If you are buying a brand they yes, Rolex are the market leader. However, if you are buying a watch then other criteria might be more helpful. the SubC is just such a great design... gets my vote. I'd prefer the Sub, because it has a certain iconic status and cachet. It may not be a rational choice, but if we were rational people we wouldn't buy watches costing more than a couple of hundred quid anyway. I voted for the MM300 and the SubC. The MM300 is so much watch for the money and the Sub is such an icon within the world of watches. The comparison between Seiko and Lexus is interesting. Most people know that Lexus make good cars, but the residual values can be horrendous, simply because people don't value the brand in the same regard as say a used Mercedes - even if they are (arguably) on a par. That is a factor to consider when buying a Grand Seiko - it's rarety (ironically due to the fact you can't buy them here) is probably the only thing holding up residuals. Sending it back to Japan for a service is a major pain too. Rolex is the brand the man in the street knows and considers 'high end' - Seiko have a way to go before Average Joe see's them in the same light. Yes the SD200 is, dial-wise, huge. Much bigger than the SD600. The dial of the MM300 on the other hand is too small. The SD600 without the GMT, and 3mm thinner would have been the perfect combo. I wear high end Seiko because they are 'different' and not because they are better. I love both brands, they are the top two on my list, but for different reasons. Rolex for their clean design and quality and Seiko mainly for the vfm in its products. Although I love the Seiko MM, I voted for the SubC, I'll be happier to wear this one, I like its design, quality and size even better than the MM, but on the other hand it costs 3 times the MM. I agree here that if the SD600 where 3-4mm thinner and without the GMT, that would be the ideal high end seiko, for me at least! That would be an ideal watch, even with the price considered, a reasonable size diver with the spring drive movement, but without the Grand Seiko Font on the dial, which does look cool but would get annoying for a while. SD 16600 for me and I do actually own one. Not keen at all on the ceramic Rollies. MM300 is OK for a cheaper choice. Grand Seiko spring drive SBGA031J, not a fan of spring drive at all so would never contemplate one. So easy choice for me. I voted for the two Rolexes in this poll, although I would have preferred to vote for the GMT2 ceramic instead of the Sub. The GS is a gorgeous watch, just a bit TOO large and I also always have half an eye on potential resale! :) Yes, I'm a fickle watch tart I suppose. ^^^^ Totally agree. GS every time. Not a fan of dive watches, so would prefer the SBGH001 Hi-Beat auto. I voted for the Sub. Looks great imo and the bezel is also fantastic. There's something awry with that Sub. picture (wrong bracelet for a 116610). Well it was me who nabbed Jay's GS from sales corner :D - it's on my wrist as I type. I am astonished at the quality and can't stop pouring over the case and dial details and gawping at that spring drive sweep. I've also got an SD and a GMT2c and it really is in that league. I'll do a comparison when I have a little time at the weekend. I buy watches I like and which interest me and to be honest the fact that its a sleeper and not the obvious choice is a plus in my book. Ever since I tried one of these in Paris a few years ago I've had it gnawing away at me, and I'm pleased as anything now I've got it! Its far too early to say which I 'prefer', the Seiko or one of the Rolex, if there can ever be a reasonable answer to that question. For now I'll leave you with a quick video I took this evening (sorry - iPhone quality and harsh kitchen lighting) of that beautiful seconds hand and then the SD's. If I had neither, I'd seriously consider the MM300. Certainly pre-owned it's great VFM & if I had an MM300 I doubt I'd be able to justify to myself the extra cost to buy an SD now. 1) Don't want to sell it. 2) Don't want an MM300 as well. 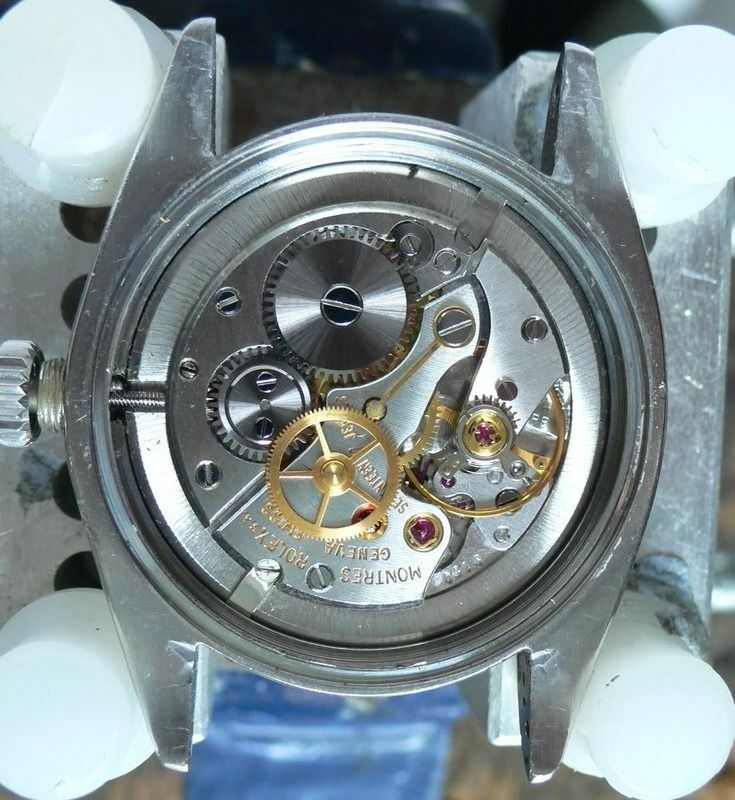 Great thread as all watches listed are worth owning. I like them all for different reasons but if only one then the Seadweller is my pick. MM300 and 16600. Impossible to choose between them. Well from the outcome, unsurprising was the SD on top, but i feel the Seiko did surprisingly well and managed to hold their own. Possibley time to sell the seiko 150m vintage collection and dive into a MM300 or GS spring drive..? :? I voted for the Grand Seiko, I'd know how great it was but I'd be a lot less likely to be mugged :D.
Out of those particular 4 I'd have the Sea-dweller, but that's not to say I'd always pick the rolex. I, like many others on here, am a big fan of Seiko.